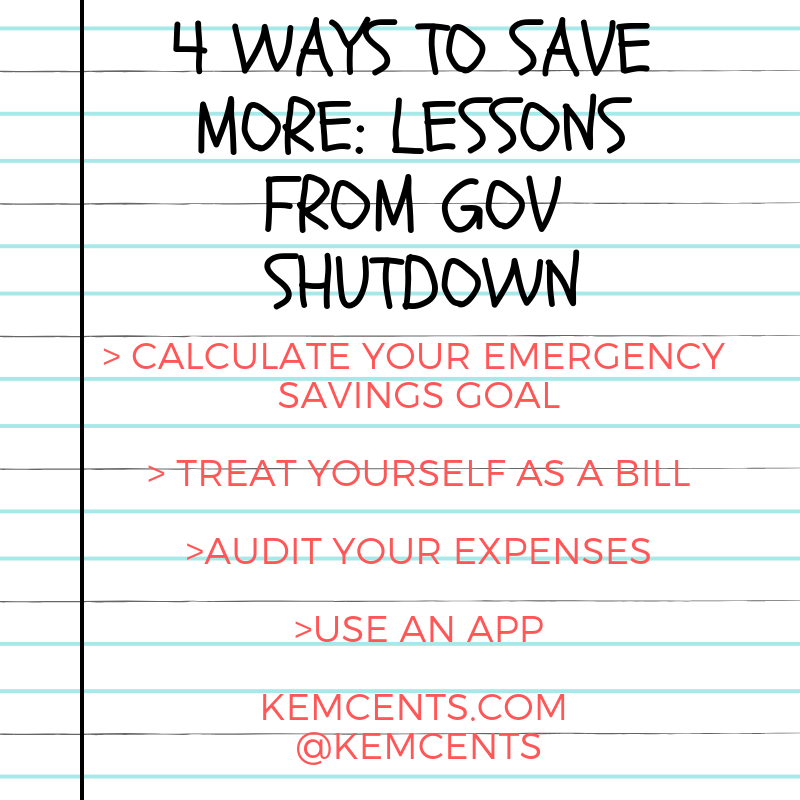 Home » What the government shutdown is teaching us all – 4 ways to save more! As we approach week five (5) of the government shutdown, many government workers are finding themselves facing another week without a paycheck. And while Congress plans to take a vote this week to end the shutdown, many experts believe these bills will not end the government shutdown. While many government employees are impacted by this shutdown, it is a lesson to save more for all of us. First, determine how much you need to set aside for an emergency. This can be achieved by determining your non-discretionary expenses, which are expenses that are required to be paid regardless. Most often, non-discretionary expenses are mortgage payments, rent, utilities, insurance, food, gas, and phone. Determine the total amount for at least three to six months, this will provide you with your emergency savings goal. Just as you would pay your cable bill monthly, you should also pay yourself. After you have determined your savings goal, it is time to get to work. If you have had a hard time of saving in the past, consider setting up your savings on auto draft. This way, you are saving with little to no effort on your part. Keep in mind, the amount doesn’t have to be extremely large, but it has to be consistent. And you will see, it will grow in time. If you find that you don’t have the wiggle room right now to save something, there is something you can do about it. Take time to write out all of your expenses for the period and determine which expenses can be eliminated or reduced. I have a great checklist on my website, 21 ways to save more, to help you find more in your budget. There is a planner for that! There are many great ways that can help you save more. One of my favorite planners is The BADGE Financial Planner! This planner not only helps with saving but can assist with tracking your expenses. This way you can see whether or not you are spending too much in a certain area and find ways to save. It also allows you to see the amounts saved for the period and provides a free credit score. Impacted by the government shutdown? There is help available! The United Way has created a US Fund to help government employees and military personnel with financial assistance and resources. 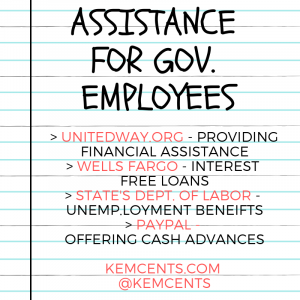 Individuals can contact United Way via their website at unitedway.org or check out my social media handle today @kemcents. Kemberley Washington, CPA is a personal finance expert, former IRS agent, and professor. 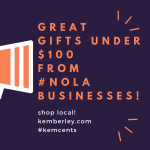 Visit her blog at Kemberley.com. Follow her on Facebook or connect with her Twitter. Like, Love, Tweet or Share this post!